Heat – It’s getting hot in here so take off all your… CPU fans? | Computorials – What computer class should have taught you. Computorials – What computer class should have taught you. Heat – It’s getting hot in here so take off all your… CPU fans? But what can’t run away from heat? Your electronics. Your cell phone, your laptop, your desktop computer, or anything else with a circuit board and electricity, really. Heat also happens to be the number one killer of electronic components… next to dropping it in the toilet (don’t ask) and “accidentally” taking a hammer to it. Consistent air flow is a good thing. It keeps cool air moving in and warm air moving out. Stale/stagnant air is caused by poor circulation, and the only thing that happens is the heat that is dissipated away from the hot box is stuck in the air, giving no cooling advantage. 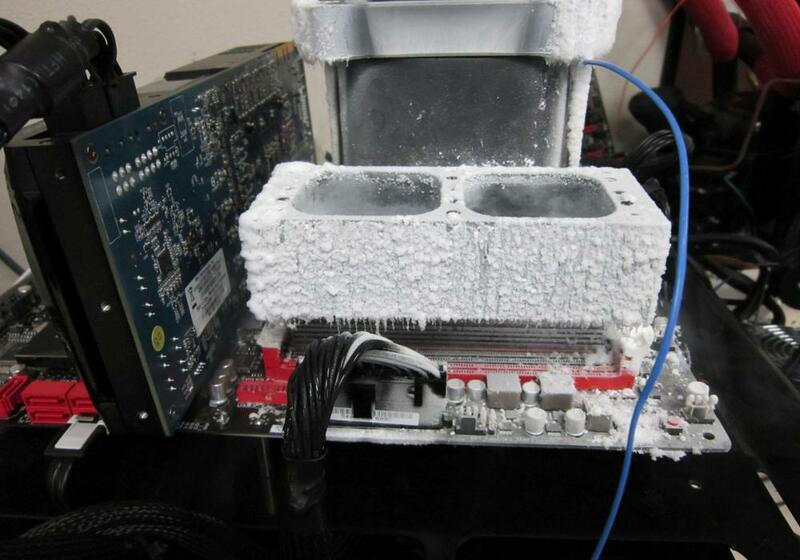 If your electronics cooler has a fan/grill on it, make sure it is not blocked. If the cooling device doesn’t have access to cooler air to push onto the component in question, like a CPU fan on a CPU, then that product has a good chance of overheating. This is also true if the fan itself is covered in dust. This is why technically people regard “dust” as the killer, but the real reason is the heat that results from it. Be sure to give your electronics a good blasting with some canned air periodically. Many electronics have heat vents at the top that allow heat to travel up and out under normal airflow conditions. This is passive cooling as they simply need to not be covered to allow the air to flow. If these vents are blocked, heat can and will build up inside the device, slowly destroying it. Want a good example? Look at the top or back of your flat panel TV. Previous PostPixels – Full Ultra HD BD HDDVD Hi-Res 1080P 4K OMGWTFBBQ? !Next PostDigital Cables – DVI-D, DVI-DL, DVI-I, DVI-Ayayay!